From reducing the impacts of the opioid crisis to understanding patterns in State Medicaid Waivers, we heard from some of the most influential voices in healthcare discussing the priorities, opportunities, and future directions for U.S. government health care programs at AHIP's National Conferences on Medicare, Medicaid and Duals held October 22-24. 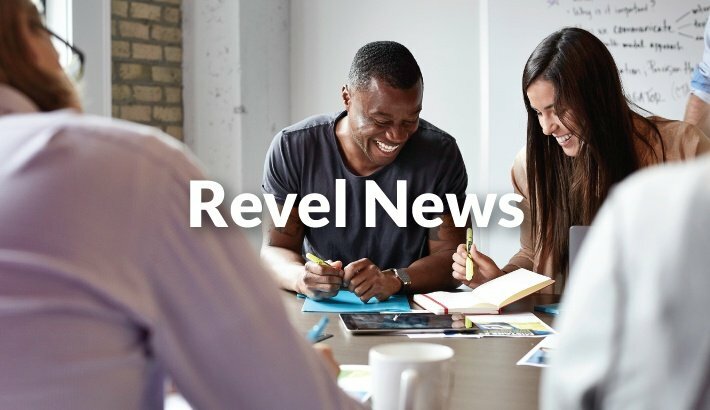 Although it’s impossible to provide a complete summary of the conference (we’ll leave that to Samantha Liss of Healthcare Dive), here are some sound bites that we found to be particularly impactful. "Medicaid allows some Americans to have an equal opportunity to be healthy, which is a founding principle of this country." said Paul Tufano, President and CEO of Amerihealth Caritas during his session on Preserving Medicaid for Future Generations. 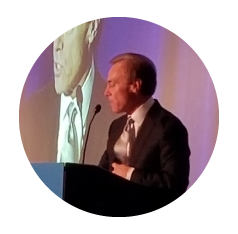 Jim Parker, Senior Advisor to the Secretary of Health and Human Services, addressed challenges and successes to the Health Insurance Marketplace. "A total of 80% of Marketplace members receive a subsidy from the Federal Government, due to the increased 'unaffordability' of premiums." However, he also pointed out that premiums are beginning to stabilize as of this year, and that "there are 24 new health plan entrants to the marketplace, while some existing plans are adding new territory." 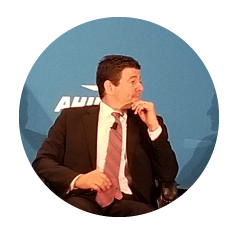 In a presentation entitled The Future of Medicare Advantage by Marc Russo, President of Anthem, we learned "Members have become much more sophisticated in using technology and will continue to do so." Russo also commented "The future of telehealth is terrific and will improve access to care." 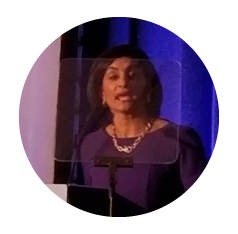 Seema Verma, CMS Administrator, keynoted the October 16 morning session, setting our expectations for some further changes at CMS that will "put patients at the center of reform to value based care." Verma also noted that "new flexibility in Medicare Advantage benefits will lead to better address the social determinants of health." Speaking to an audience predominately made up of health plan executives, Verma noted Medicare Advantage plans were projected to increase membership by 11.5% and that an additional 200 Medicare Advantage plans were being added for 2019. She also said that existing plans were expanding their service areas in order to grow membership. Verma rejected calls for "Medicare for All," pointing out that changes to Medicare require an act of Congress. She also noted that adding millions of new recipients to Medicare would drain resources currently used to care for seniors. As mentioned earlier, the opioid epidemic was top of mind as well. Deputy Attorney General Rob Rosenstein provided the Department of Justices’ outlook on the opioid crisis. "Fighting this crisis must be done with the same since of urgency that was applied in past years against organized crime and terrorism." He also said flood of unneeded but prescribed painkillers constituted "the largest healthcare fraud in our history" and helped bring about the crisis. 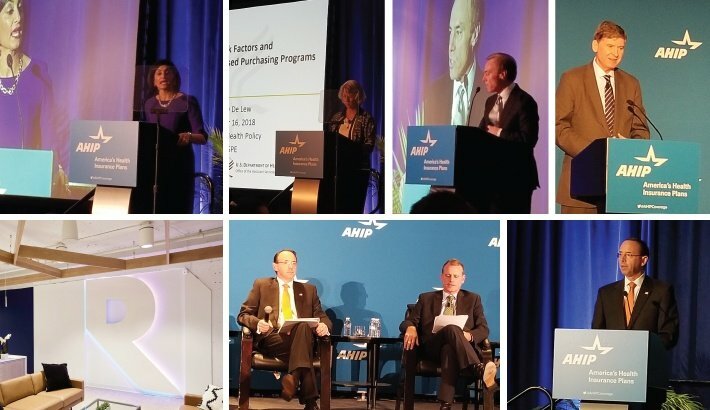 As a health plan industry founded to control financial risks and innovate to create care efficiencies, the National Conferences on Medicare, Medicaid, and Duals represented some outstanding opportunities to address important components of the Triple Aim. This includes reducing costs by spreading the risk occurring through additional populations of Medicare Advantage and Medicaid members, and continued improvement of care through the application of new technologies. Ready to take a deep dive into how to improve Medicare Star Ratings? Explore our popular eBook: "5 Strategies for Improving Quality Ratings with Better Health Engagement."